22 inch Remy clip in human hair extensions for an affordable price. Highest quality Remy hair. Easy to apply for instant volume, length and color. 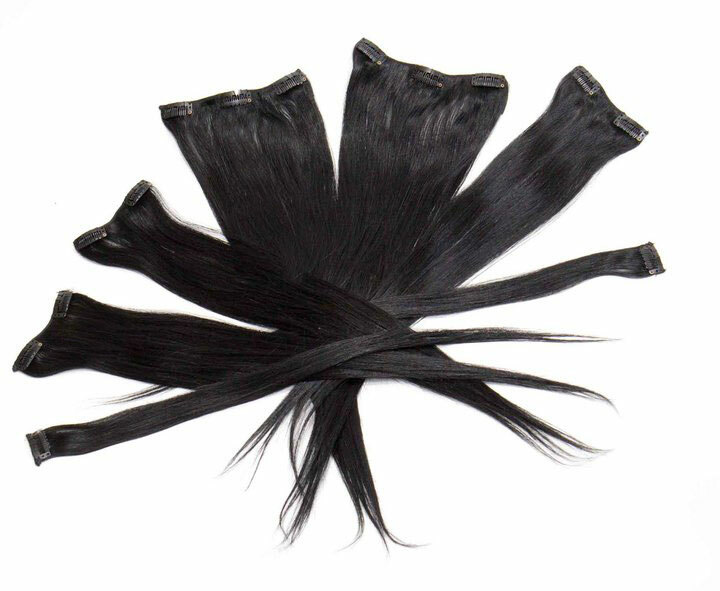 Just ordered these 22" Extensions from Hair Extension Store. Absolutely love the hair, its so beautiful and soft and worth EVERY PENNY! I AM SO SATISFIED! I wear my new extensions every day now! i have long beautiful hair again YIPPIIEE!! i have had these extensions for a few months now and im just so in love with them still. I am wanting to buy the longer ones because i want even longer hair, I hope they will be as good as these ones. They are still so soft and hold the curls really well. I will buy the 26" today and i hope they will be good too!! !